Foodland’s Shop for Higher Education Scholarship Program begins on Wednesday, February 15 and ends March 28. The more points earned by the Sacred Hearts Academy, the more scholarships we can receive. Since 2006, more than 1,080 scholarships have been awarded to college-bound seniors across the state, totaling more than $2.1 million in awards. The Academy has been fortunate to qualify EACH year for scholarships based on the earned points. 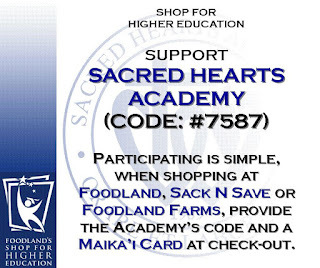 We encourage our entire Academy 'ohana to select Sacred Hearts Academy among the list of participating schools when they check out at any Foodland, Sack N Save or Foodland Farms store with their Maika'i Card. 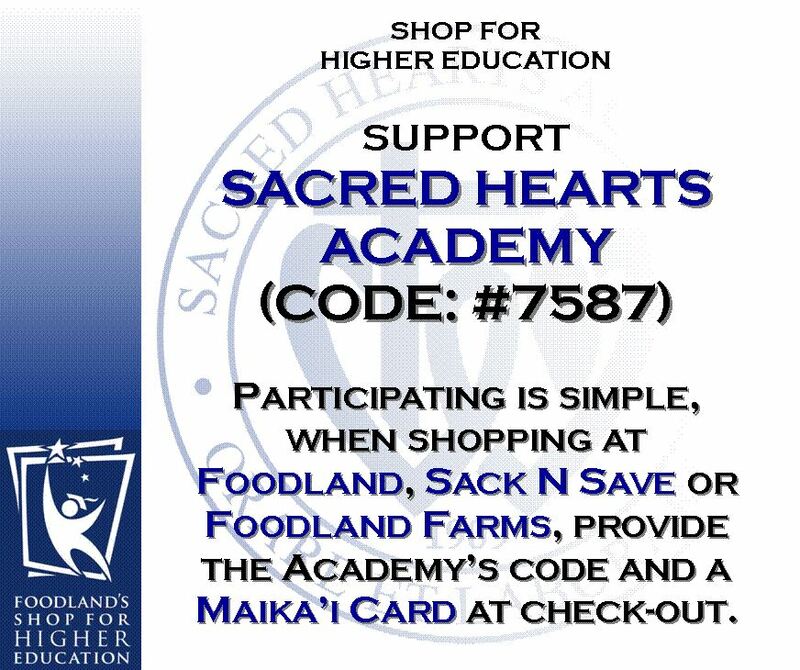 Every time you shop through the end of the program, you earn Maika'i Points and Sacred Hearts benefits as well. The more Maika'i Points Sacred Hearts earns, the more scholarships we receive!